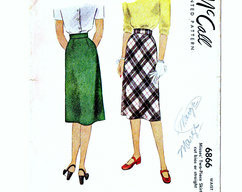 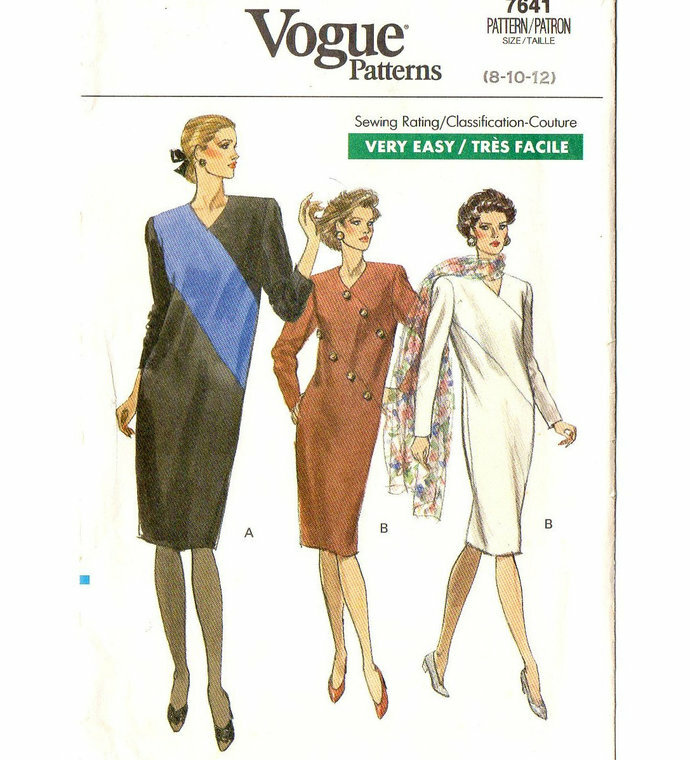 1989 Vogue 7641 Sewing Pattern. 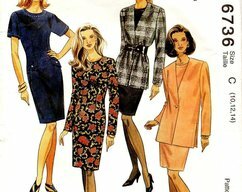 Misses Dress: Slightly tapered dress has slightly extended shoulders, shoulder pads, back zipper and hemline slit and long sleeves. 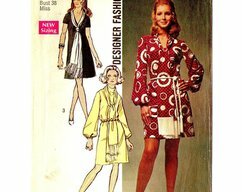 A: contrast upper front. 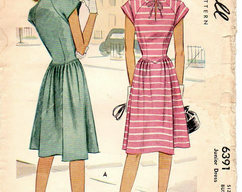 B: optional button trim.